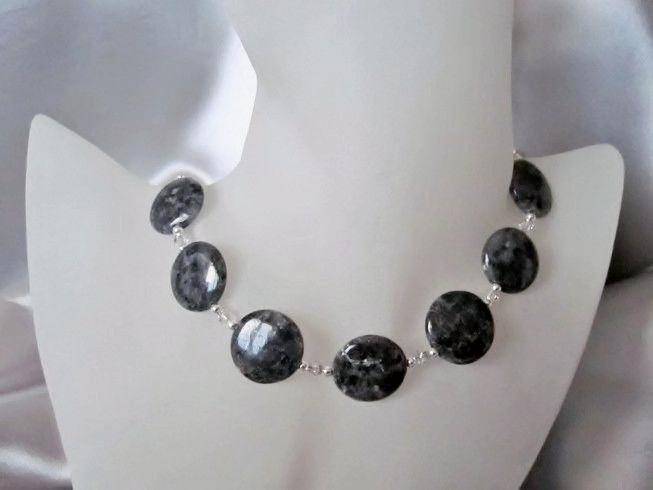 This unique handmade necklace features dark grey Labradorite coin beads which are 20mm in size & have beautiful iridescent patches. There are contrasting Swarovski Crystals which are slightly grey in colour adding further sparkle to this necklace. Completed with Sterling Silver beads & bolt ring clasp fastener and fittings, the length of this designer necklace is 17.5"